it isn't hard to get your kids to enjoy healthy food and drink and to make your whole family the envy of your street! All you need is a little instruction, determination, and application. Twenty-First Century Nutrition and Family Health, written by a father of four and based on over 500 published research papers, tells you how to grow a healthy and happy family without spending a fortune in time or money. It's had some great reviews. A lifetime of family fitness for the cost of a visit to Starbucks has to be worth it, doesn't it? Buy it now and change the course of your family's life for ever! By far the most serious of these is our diet, which has changed dramatically since the 1940's. In those days obesity, coronary heart disease and type 2 diabetes - now among our principal killers - were virtually unknown. Many mistakes have been made, mainly driven by modern methods of food production and distribution, but also by some bad science. Many of us now live on plant-based fats instead of animal-based ones, we obtain most of our calories from carbohydrates and sugar instead of from protein and fat, and we live on manufactured food products instead of cooking food at home with fresh ingredients and without the addition of artificial preservatives, colourings and other unnatural ingredients. After an exhaustive study of over 500 peer-reviewed scientific papers, 'Twenty-First Century Nutrition and Family Health' exposes how and why these changes have produced the health problems that are costing the UK £55 billion a year in healthcare and lost productivity. It explains the 25:45:30 Natural Health Diet and provides full instructions on how any family can implement this without spending a fortune in time and money, so that parents and children can be free for life from these unnecessary but deadly health problems. 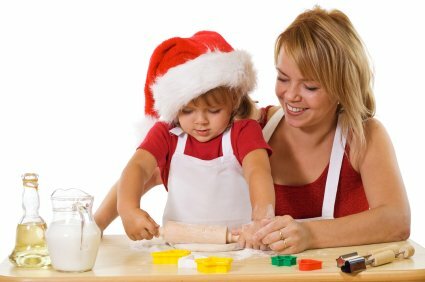 More than this Twenty-First Century Nutrition and Family Health shows how to get your children enthusiastic about food preparation and healthy eating. It provides a programme for family exercise, and explains the importance and practice of rest and relaxation and how to get a good night's sleep. It also explains how to deal with excessive stress and some aspects of environmental pollution. The Director of Public Health in one London borough declared,"This book is much needed in today's society." A reviewer on Amazon went further: "Extensively researched, thoroughly argued, carefully written, and challenging much of conventional dogma, this is a ‘must-read’ for everyone with a concern for their own and their children’s diet and health.” Learn more about it.